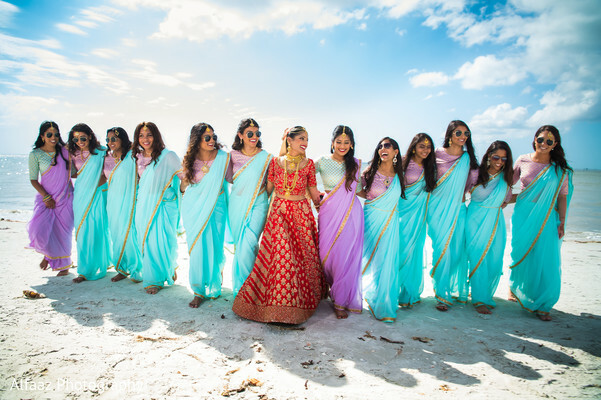 Today I invite you to attend Dhara and Parth's beautiful beachside Indian wedding where we have the front row seat to paradise. 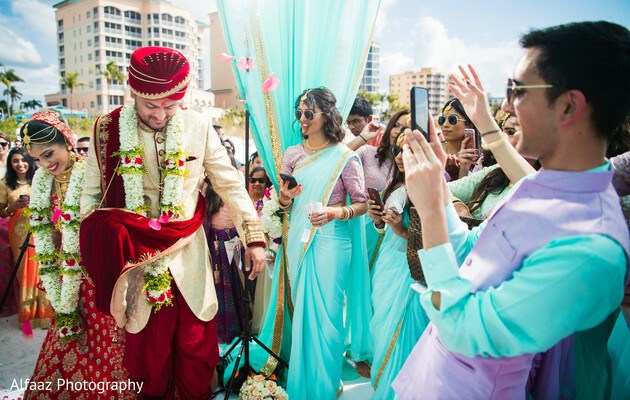 Let's talk about the baraat ceremony, my personal favorite aspect of an Indian wedding! 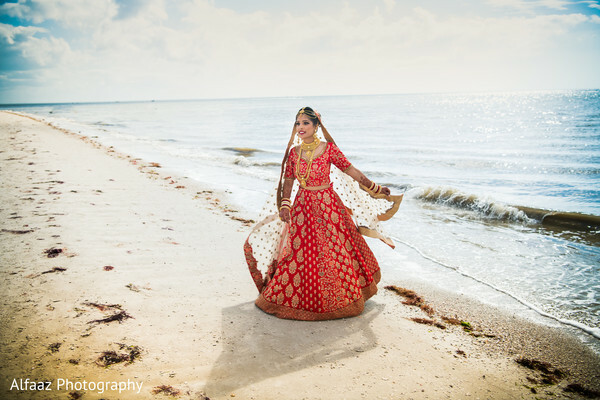 Led by Charlene's Classic Carriages LLC and Volcanik Entertainment, I can just hear the sound of a dhol amongst the waves of the ocean. 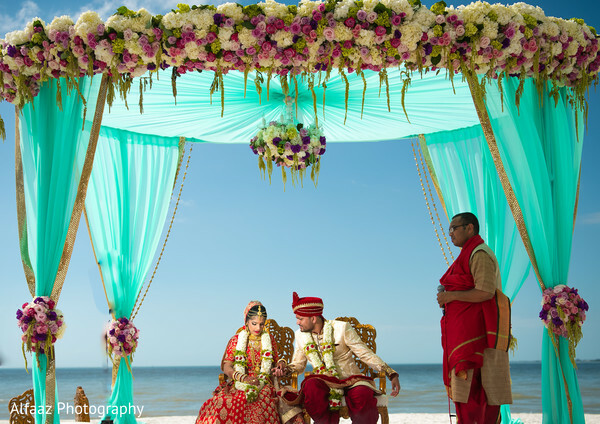 House of Dipali added a little extraordinary to the Pink Shell Beach Resort. 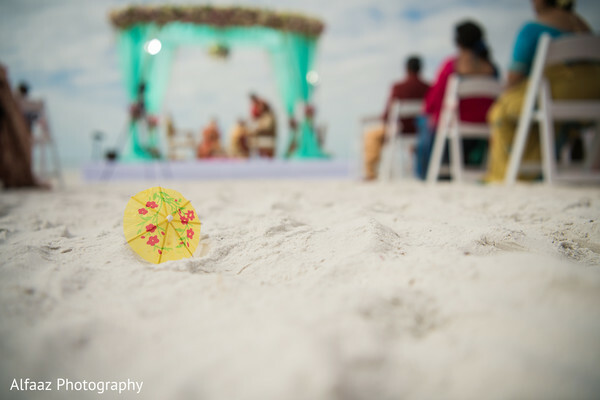 It truly is stunning to see how a wedding vendor team transforms the sandy beach into a romantic oasis, all within a few short miles. 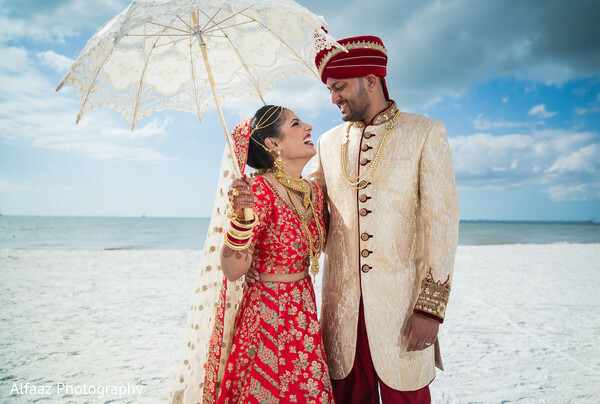 Henna Allure ensured Dhara was a Bollywood bride with glowing makeup and polished henna work. Frankly, "amazing" is an understatement. 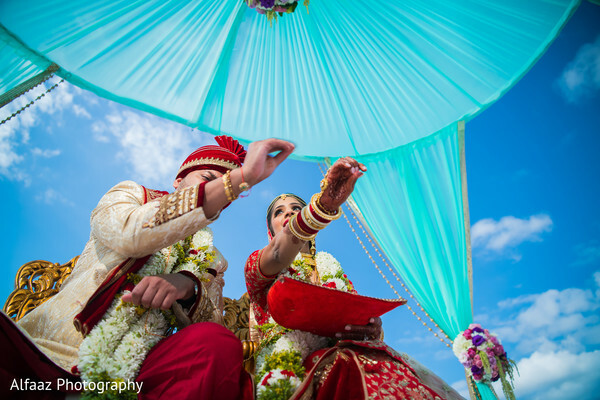 Be prepared to fall in love with all of the images in our gallery shot by Alfaaz Photography. 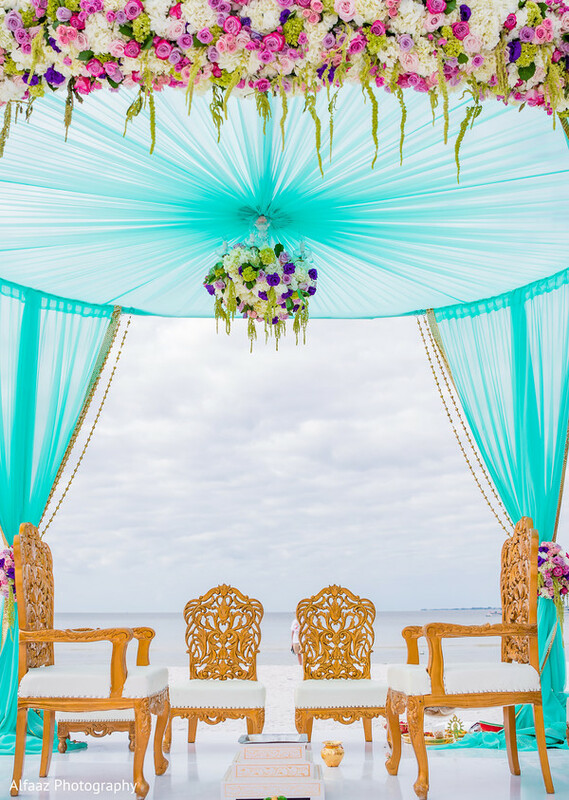 We are not quite done yet - the reception is right around the corner! 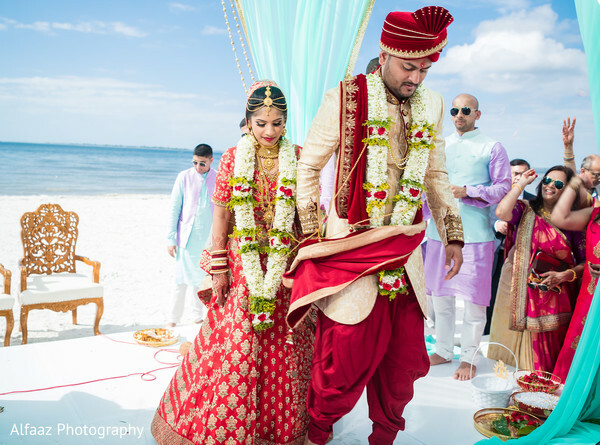 Volcanik Entertainment, House of Dipali and Sanibel Harbour Marriott Resort & Spa are members of the Platinum Guide. Love what you see? Explore their portfolios.